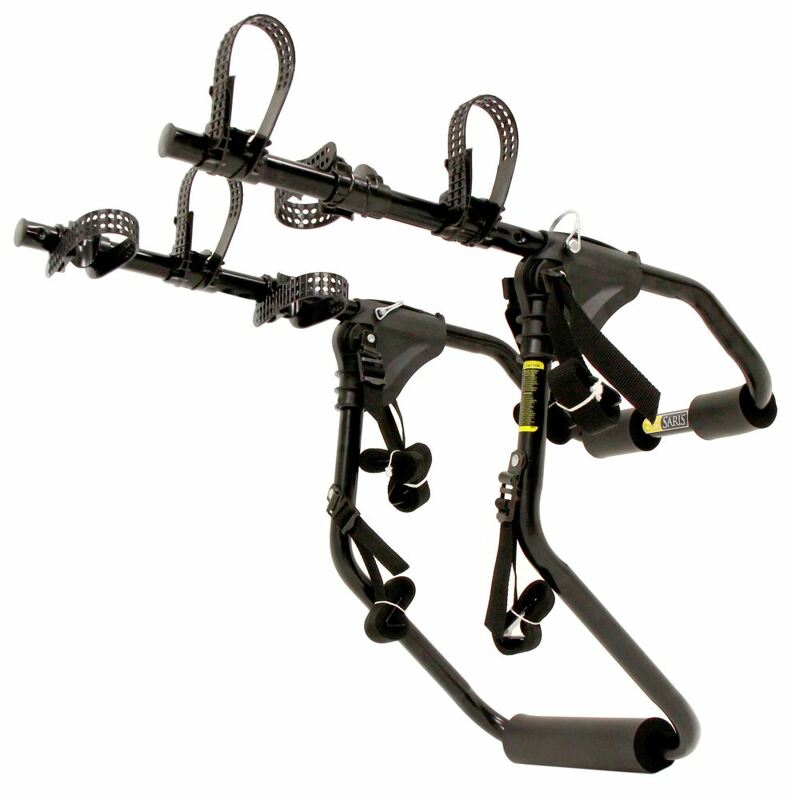 Saris trunk bike racks for your 2003 Dodge Grand Caravan are available from etrailer.com. 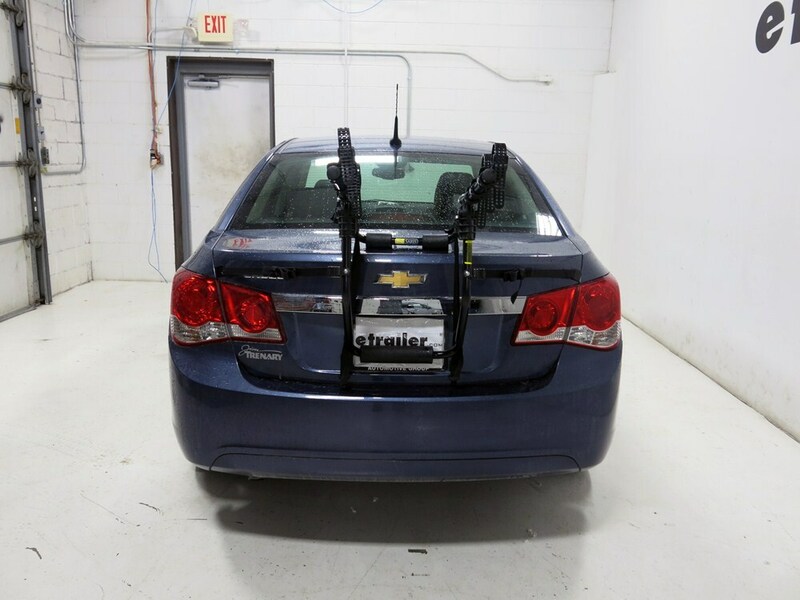 Installation instructions and reviews for your Dodge trunk bike racks. 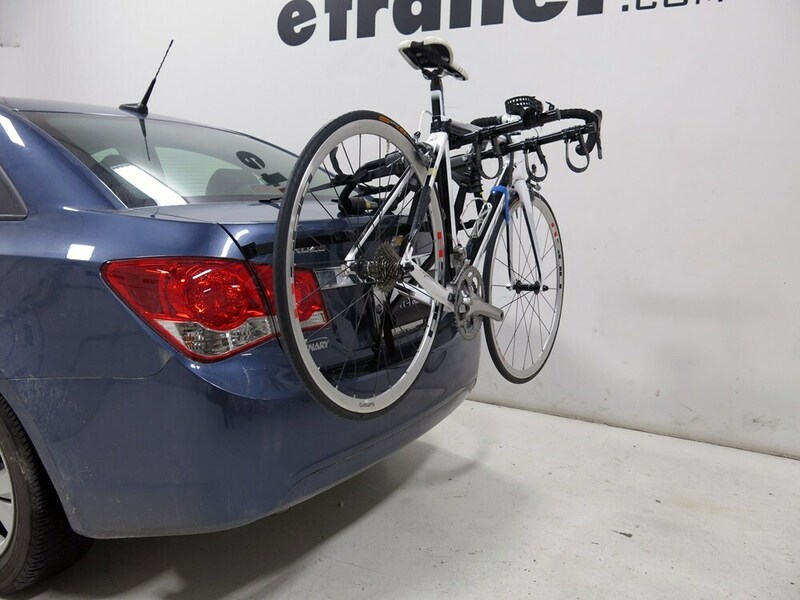 Expert service, and cheapest trunk bike racks price guarantee. etrailer.com carries a complete line of Saris products. 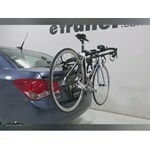 Order your Saris Sentinel 3 Bike Carrier - Fixed Arms - Trunk Mount part number SA1052 online at etrailer.com or call 800-298-8924 for expert service. 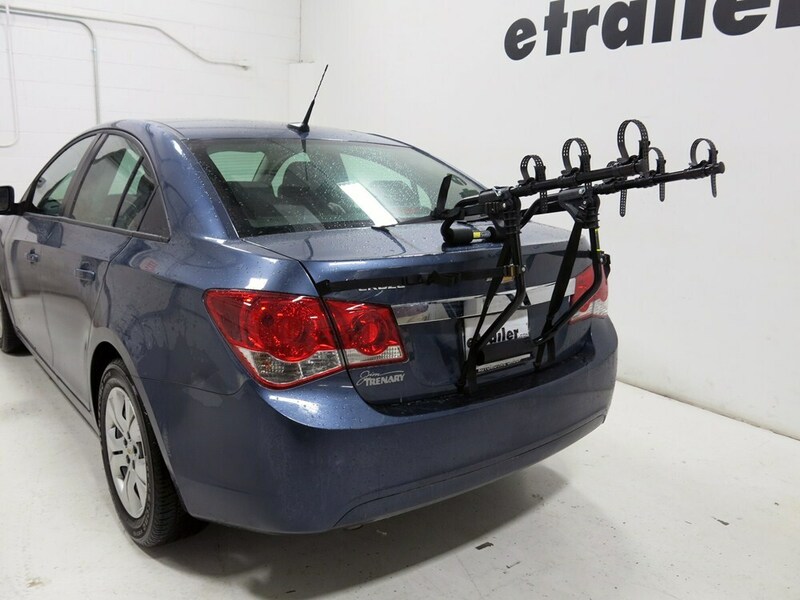 Today were going to be taking a look at the Saris Sentinel Trunk Mount and 3 Bike Rack part number SA1052. 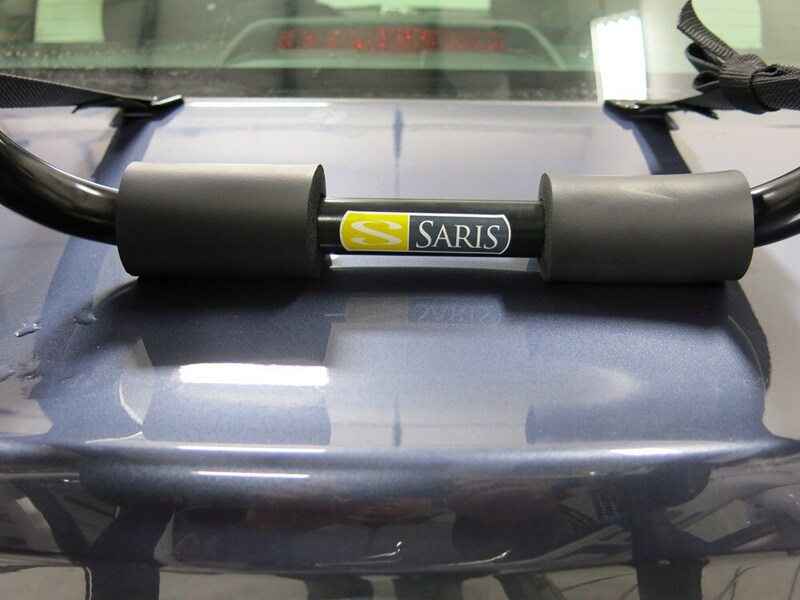 The Saris Sentinel has 2 adjustment locations here. 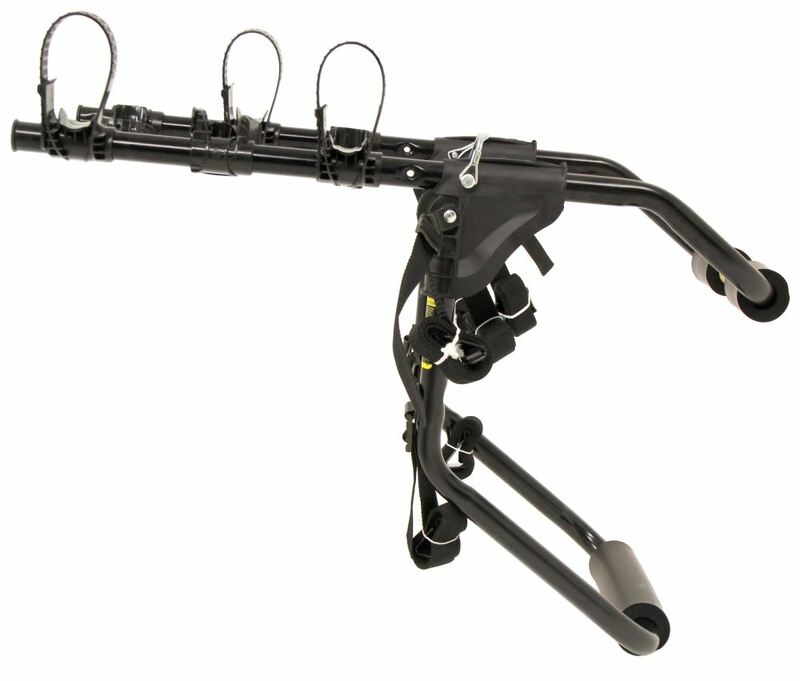 This is going to allow you to move the cradle arms back or forward to accommodate different sized of trunks. 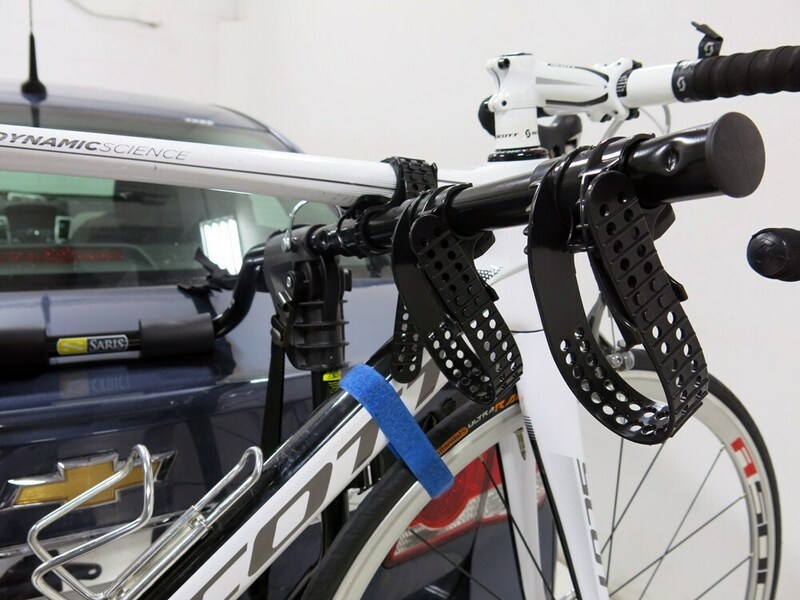 There are phone pens located on the bottom bar of the bike rack and also the top bar of the bike rack to help protect you vehicles finish. 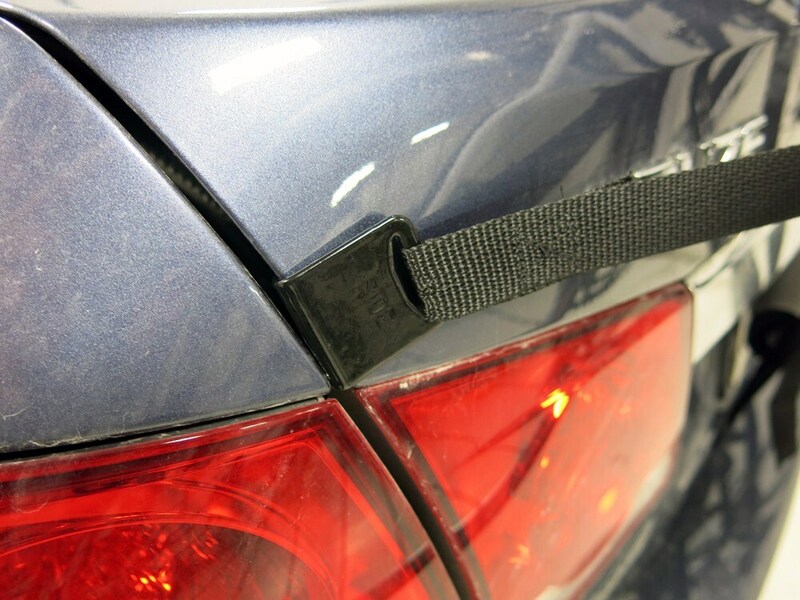 Along with the rubber coated hooks, that are also designed to help protect your vehicles finish. 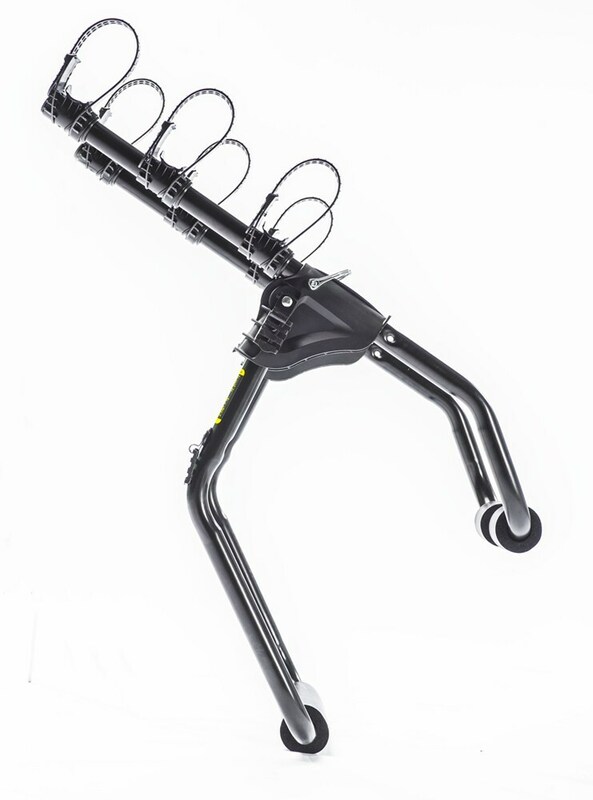 The cradles on the sentinel can adjust back and forth along the cradle arms to accommodate different bike sized and lengths. 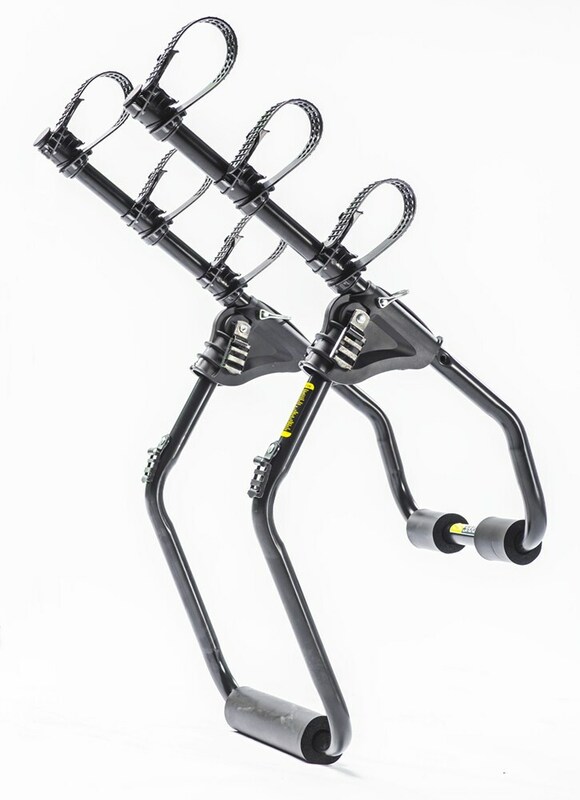 The cradles can also tilt back and forth to be able to go around the top bar of the bike or to be used as an anti-sway cradle and wrap around the vertical bar of the bike to prevent the bike from swinging back and forth and coming in contact with the other bikes or the bike rack itself. The sentinel has a carrying capacity of 3 bicycles with a weight capacity of 35 pounds per bike. Its made in the USA and comes with a limited lifetime warranty. Now that weve gone over some of the special features, well go ahead and show you how to install it. 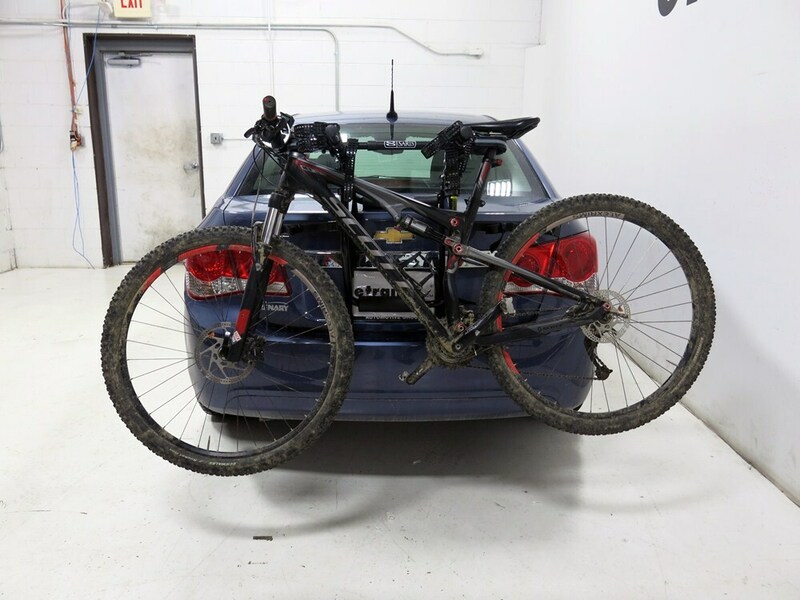 To begin our installation, the bike rack starts of in a stored position, well pull it out, snapping this bar in place and now were ready to fit it to the vehicle, then well place the bottom solid soft foam pad about at the license plate. 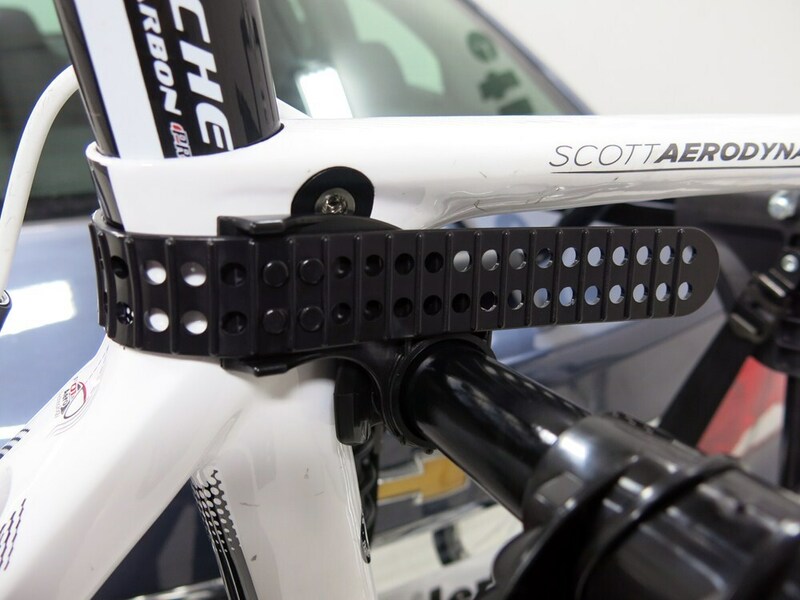 This is going to make sure that our cradle arms are slightly angled up to ensure that the bikes ride correctly in the frame cradles. 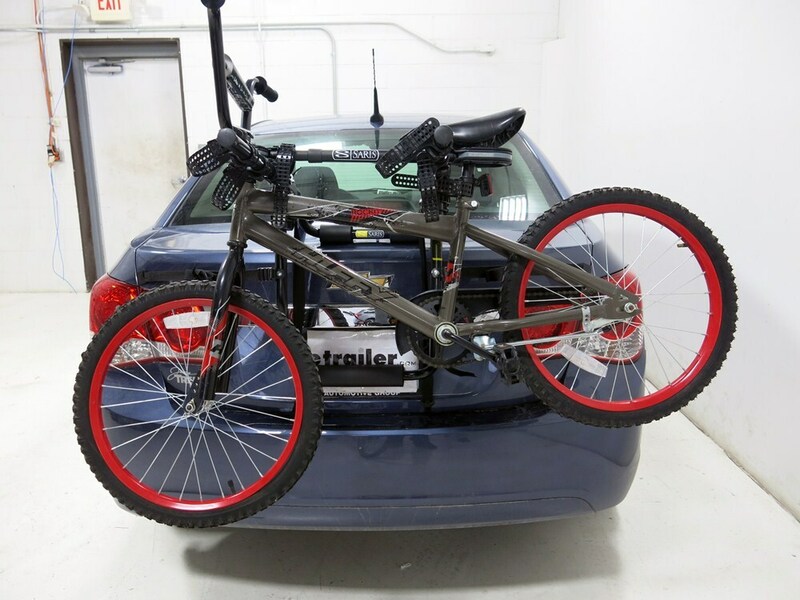 Now that the bike rack in place, were going to start with the top 2 straps and hook them to the top of our trunk. 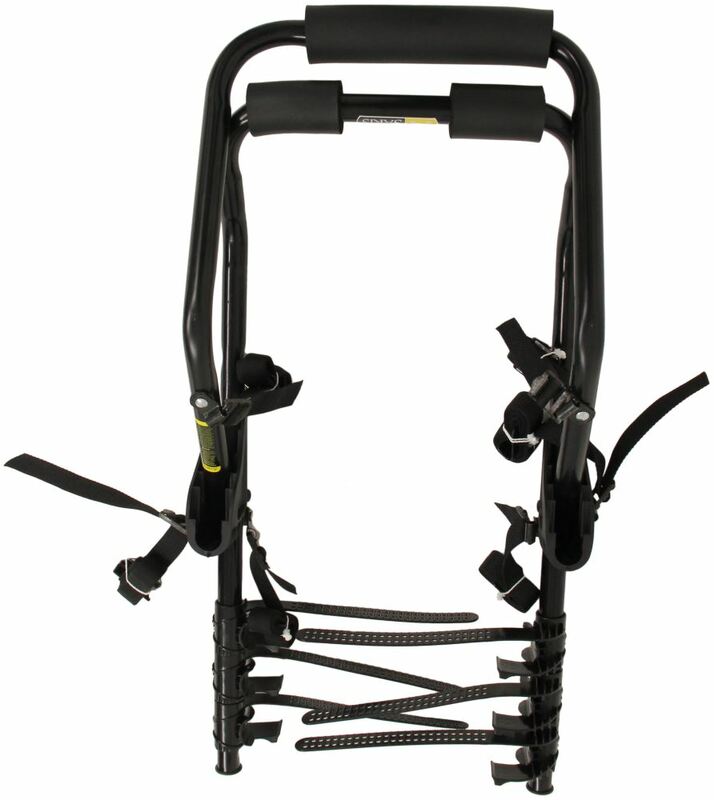 This is also going to help us keep the bike rack in place while we clip on the other 2 sets of straps. 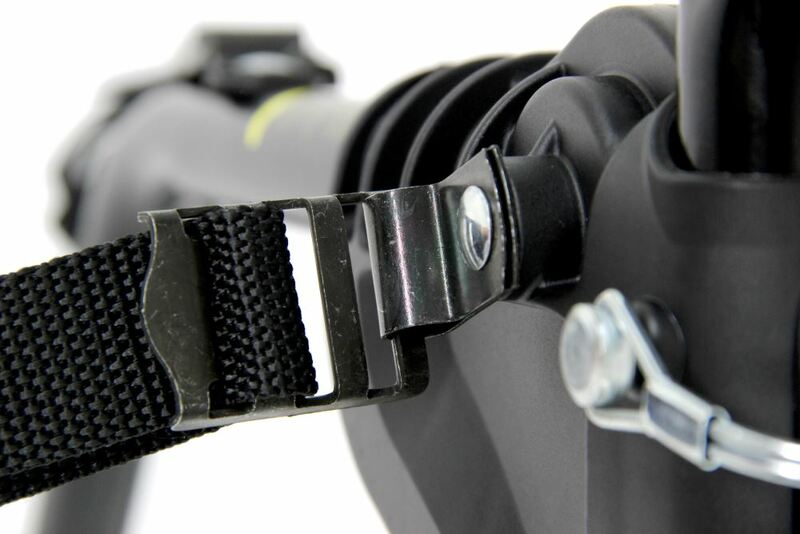 The top clip is also labelled upper. Well then just go ahead and repeat the same process for the other top strap. And when we tighten on the straps, were just going to tighten them loosely just to help us keep the bike rack in place. Then well go ahead and do the side straps and then the bottom set of straps. 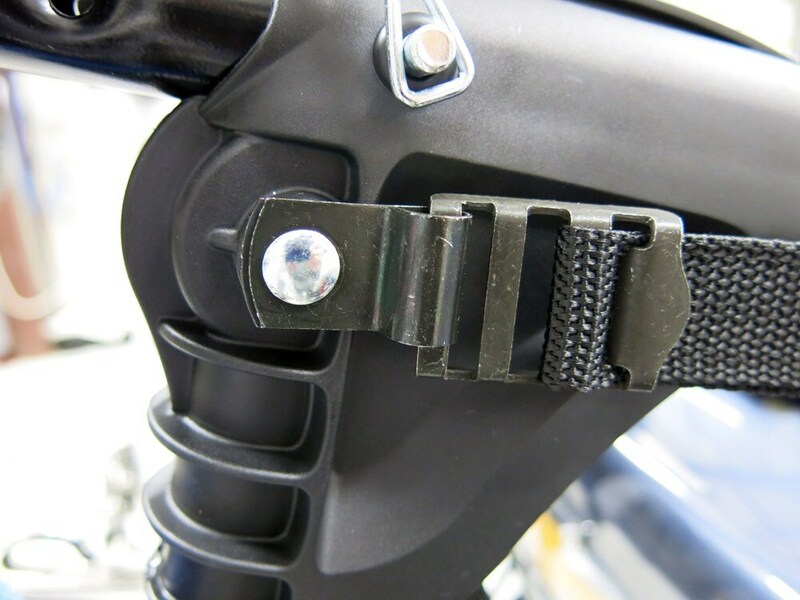 Now when youre hooking in your side clip, you want to make sure that you hook it up against metal and not your tail lights. Again, just tightening the strap loosely. Then well go ahead and finish it off with the bottom straps. Now, depending on your application, you may need to open up the trunk a little bit to get the bottom clips in position. 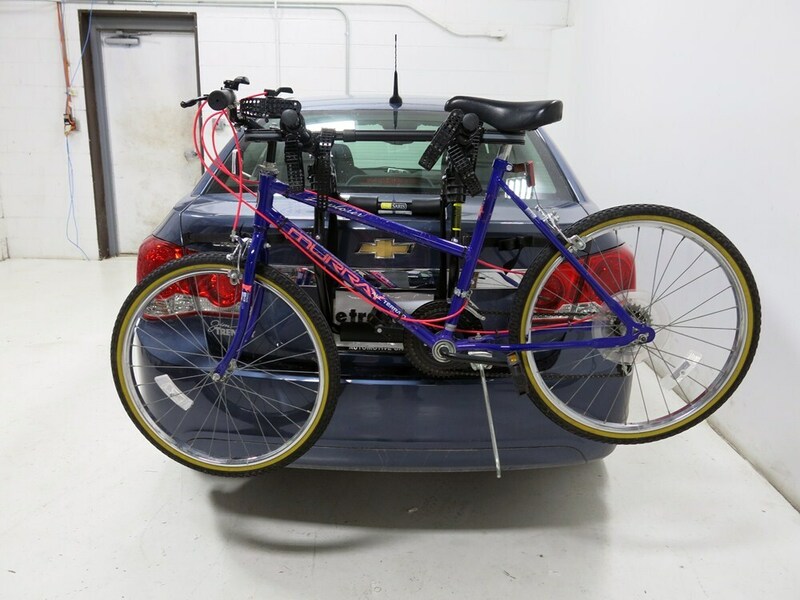 With that all our straps in place, now well go ahead and further tighten them down to further secure the bike rack to the vehicle. 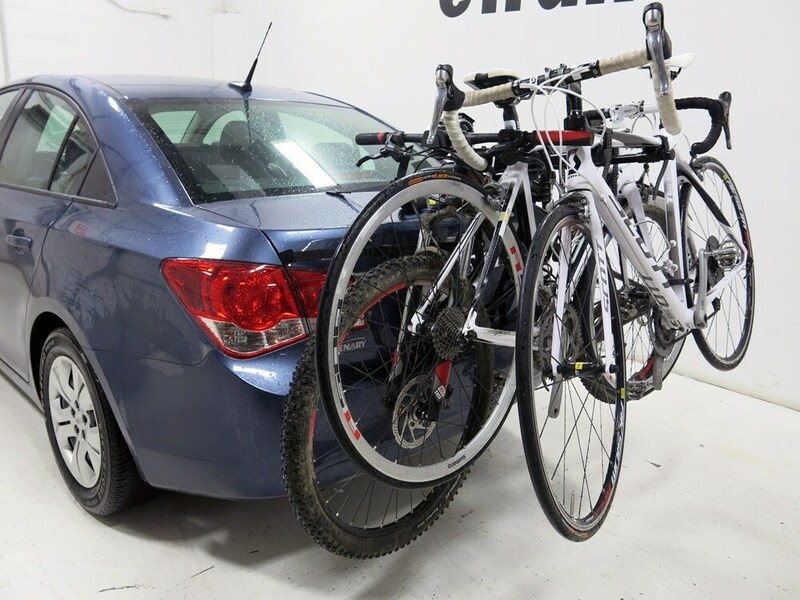 You want to tighten down each side a little bit at a time so the bike rack doesnt become off center. 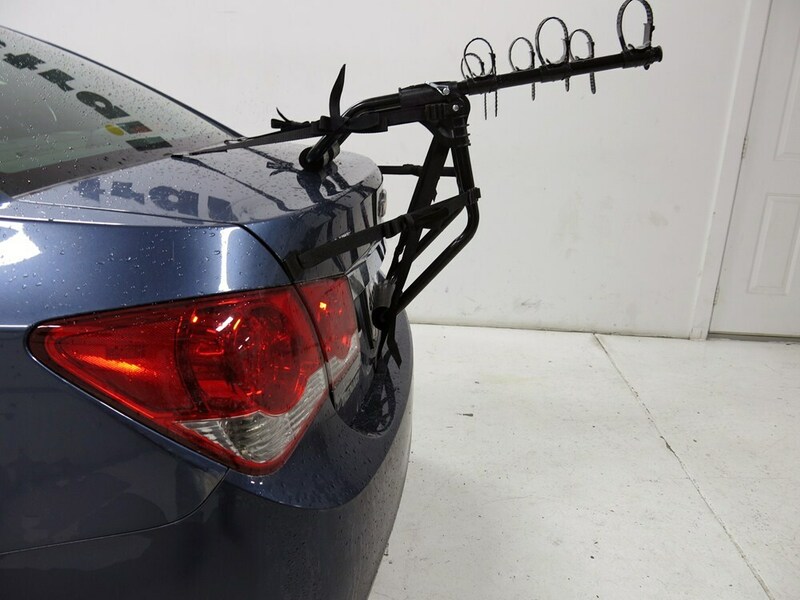 Now that the bike racks secured, well go ahead and secure the excess strap. Now that weve gone over some of the special features and shown you how to install it, well go ahead and show you how to load up a bike. 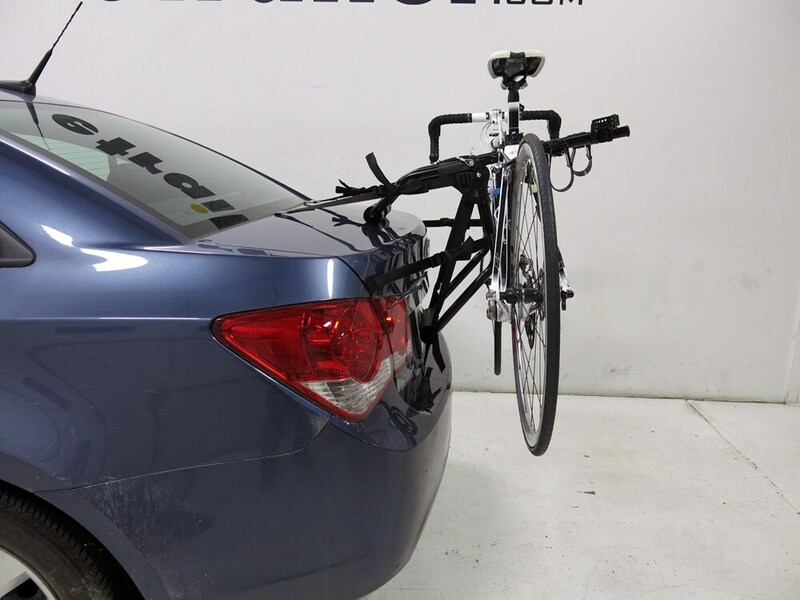 Well first start off by undoing the cradle straps, then well go ahead and simply place the bike frame into the frame cradles of the bike rack. Now we went ahead and tilted the frame cradle down so we can wrap around this bar of the bike and then simply just bring the strap around and secure it. Finishing off with the other strap around the top tube of the bike. 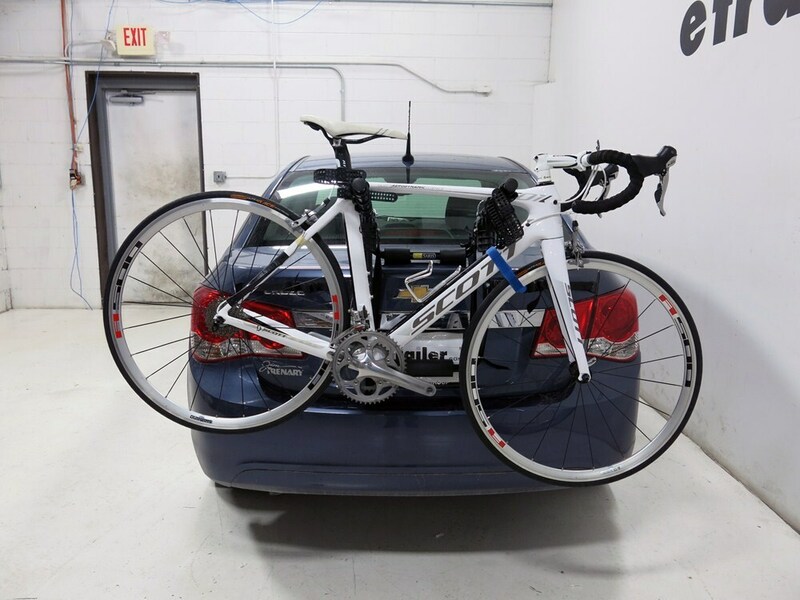 Now with our bike all loaded up, well go ahead and a take it off for a test drive to show you how it looks in action. 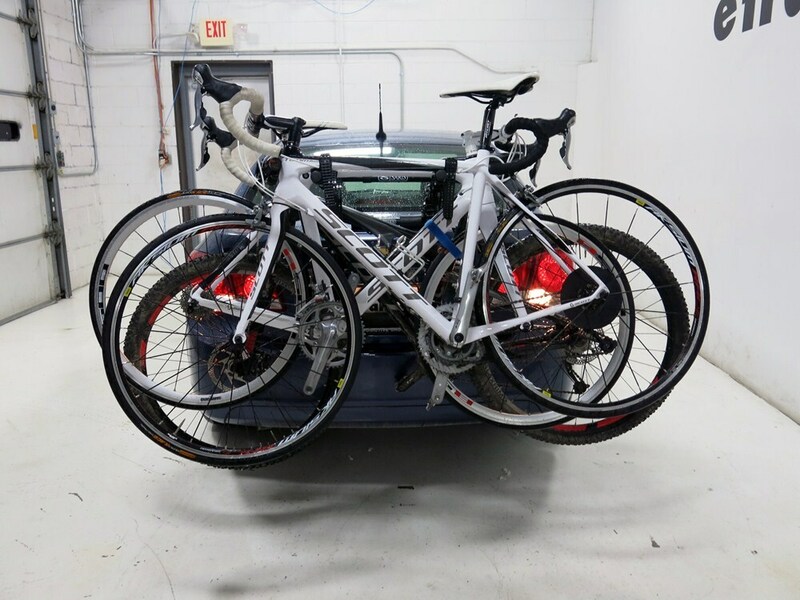 And that would complete todays review of the Saris Sentinel Trunk Mount and 3 Bike Rack part number SA1052. .
Order: RelevanceNewestRating - High to LowRating - Low to High Let the Sentinel handle safely transporting up to 3 bikes so you can focus on finding the best trails. 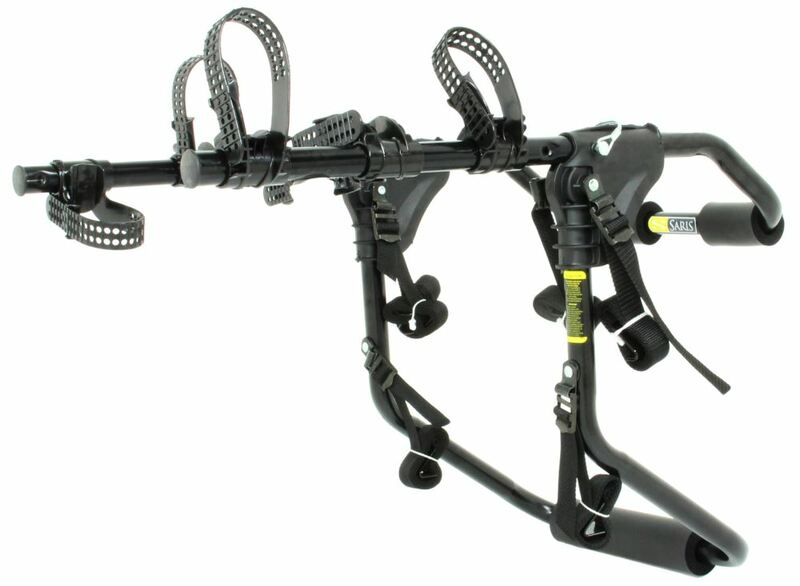 This sturdy, trunk-mounted rack features adjustable arms and solid cradles with straps to keep your bikes stable. 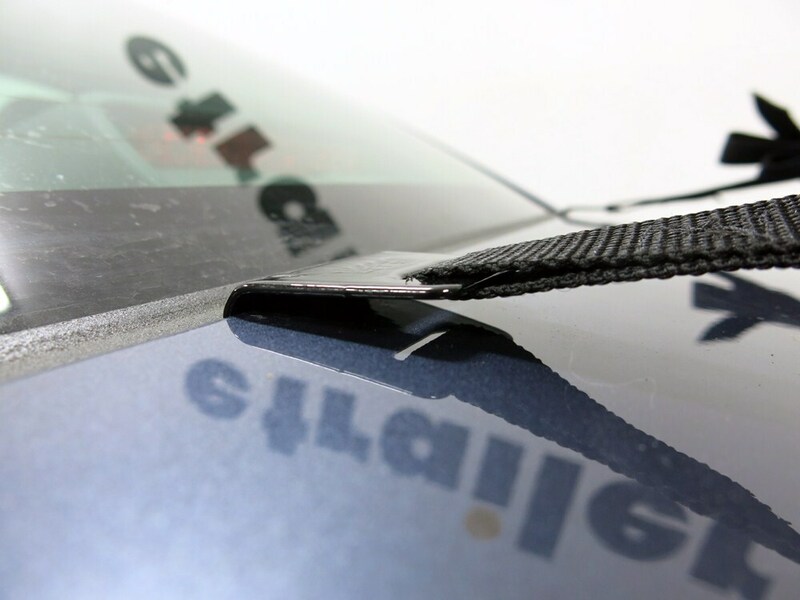 As long as your 2000 Mitsubishi Galant doesn't have a spoiler, the Saris Sentinel 3 # SA1052 will be a great fit for your vehicle. 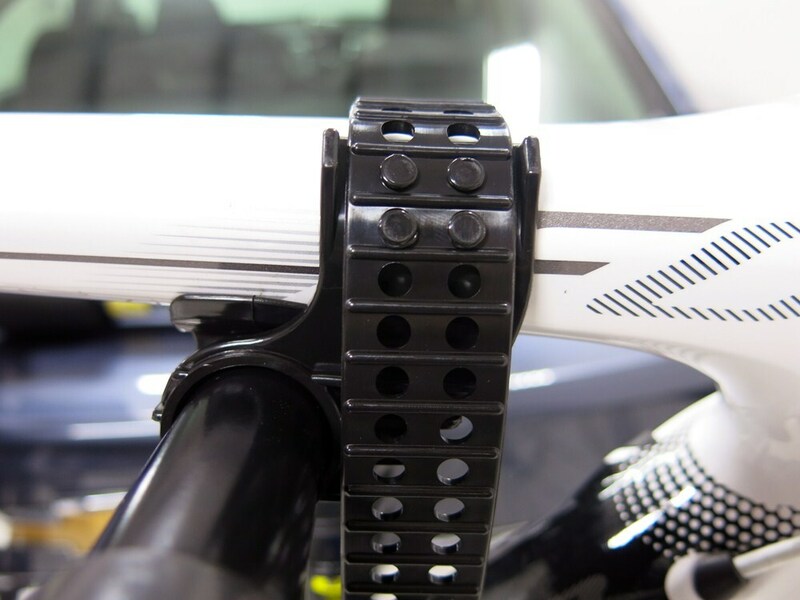 If you plan on transporting any alternative frames bikes, like many women's bikes are, then you will need to use an adapter bar like # UB01 for them to mount properly. I have linked both products to this page for your purchasing convenience.